Bangalore Metropolitan Transport Corporation (BMTC) is gearing up to make smart cards available to all Volvo bus commuters. BENGALURU: Bangalore Metropolitan Transport Corporation (BMTC) is gearing up to make smart cards available to all Volvo bus commuters. The long wait for this facility will finally come to an end for the 25,000 to 35,000 odd Volvo commuters. Besides being a step towards seamless travel for AC bus commuters, these cards will also have additional benefits for consumers. Chief systems engineer Nagendra explained that when a commuter begins his or her journey, they can swipe the open loop card on the electronic ticketing machine (ETM) and the money will automatically get deducted. "This will eliminate the problem of tendering exact change," he said. The annual fee for the smart card is `25, with a transaction fee of 0.69 per cent of each ticket fare. "Open loop means the card can be used at commercial establishments, just like debit cards. We are ironing out the technical issues that came up with vendors during the testing. 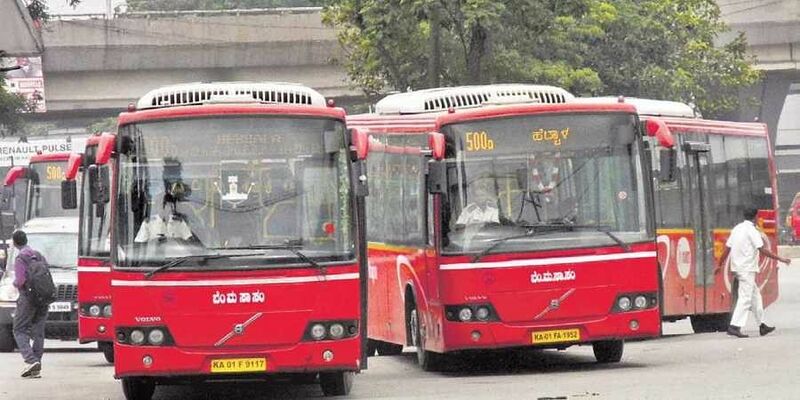 The eventual aim is to have the entire BMTC fleet on smart cards. The student smart cards passes we have issued so far were closed loop," said Tanusree Barma, IT director of BMTC. Transport expert from Praja RAAG, Sanjeev Dyamannavar highlights the benefits of the card:"Commuters have to go to a counter or a conductor to get their monthly or daily passes issued. With these smart cards, they won't have to do either as it will all be cashless. There will be no duplicate use of passes. These smart cards can be verified by the conductor's ETM." Data collection proves to be another benefit. "BMTC can collect data of travel patterns, usage of specific routes, timings and popularity of routes and use the real-time information to plan routes better," said Dyamannavar. "The next step will be for Namma Metro and BMTC to sit together and combine their cards to make a common mobility smart card. Once the card is loaded, the customer can switch between bus and metro, without the need to buy tokens or tickets again. They can easily account for their travel expenses every month. Companies can offer employees smart cards with money for on site work, reducing the hassle of reimbursement as well," Dyamannavar said, adding that discounts can be given to passengers using the common mobility card to attract them towards using public transport.